All living in different countries, Brazilian Girls have still found a way to come together to create their incredible new album, Let’s Make Love. 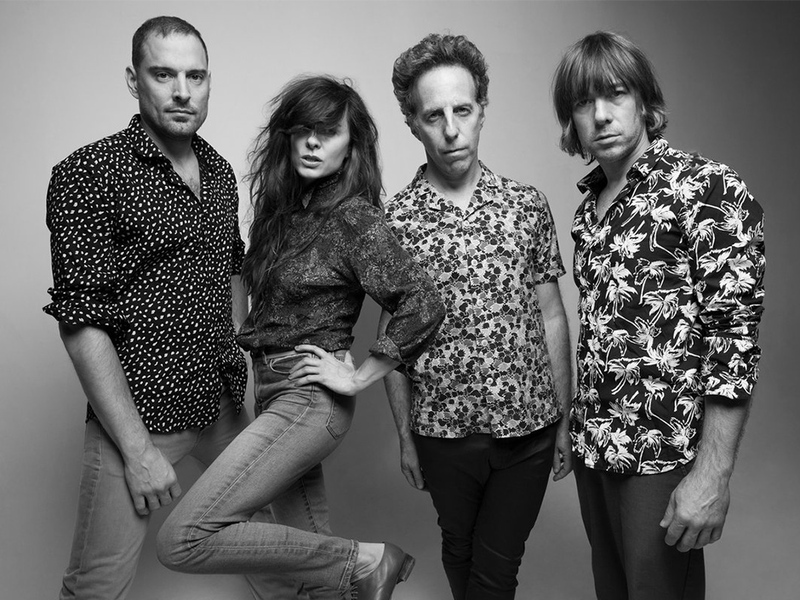 Produced by skilled collaborator, Frederik Rubens, it came to life over several years and is the band’s fourth record, the first, being their Grammy nominated album New York City. Brazilian girls are excited to kick off their U.S. tour May 5th giving fans a chance to see some tunes that have yet to hit the stage. One of those songs is title track “Let’s Make Love,” which the band just released a new music video for. Featuring a virtual reality tour of a psychedelic surf-pop collage world, this 60’s inspired video will definitely have you feeling the love. In our interview with the band,we got a deeper look at their creative process and what the future holds for Brazilian Girls. I know your album Let’s Make Love took several years to come to fruition, how does it feel now having released your first album in a decade? We are thrilled to have this fourth record available for all to hear! What a journey it has been–from New York to Madrid to Istanbul and beyond. While recording this album each of you were scattered in separate locations across the world, what was your process in creating the record and what were some challenges you faced in dealing with your geographical differences? While we were on tour we called friends and found good spots to record. We’d stay in town a few extra days and try to capture a song or two. This went on for three years and we managed to not kill each other and put out a record… and one more baby!! In titling your latest album Let’s Make Love, what was your inspiration behind choosing that name for your record? This life is about Love. Love made this album. Everyone needs to make more love. Let’s Make Love! The latest single Balla Balla, a electronic vintage 40s inspired track, was recorded after seeing the crowd have such a strong positive reaction to the song. How does it feel knowing built such a genuine fan base and even garnered the attention of some big names such as Zach Galifanakis? Everything about our musical experience moves the body. We have always strived to bring people together to dance and celebrate love and life. We love all the love! When you began playing weekly, you developed a very free flowing style which lent well to improvisation, what has your experience been like preforming and being able have such creative freedom? This band is always dancing between rewriting a song on the spot and playing songs as close to the recording as possible. Usually the new material gets played closer to its original form and the older songs get remixed on the fly, or anywhere in between. The trust is always there so when you least expect it, expect it! What’s next for Brazilian Girls? We are very excited to be back out for US dates in May and in the fall and some European adventures as well this summer. More remixes to come too!